My focus this month has been sweets. I’m not usually the biggest fan of sweets and treats but something about Christmastime moves me to the sweet side of the food spectrum. Since I am all about the sweet, I am all about being in the kitchen, whipping up cookies, bars, cakes and anything sweet. 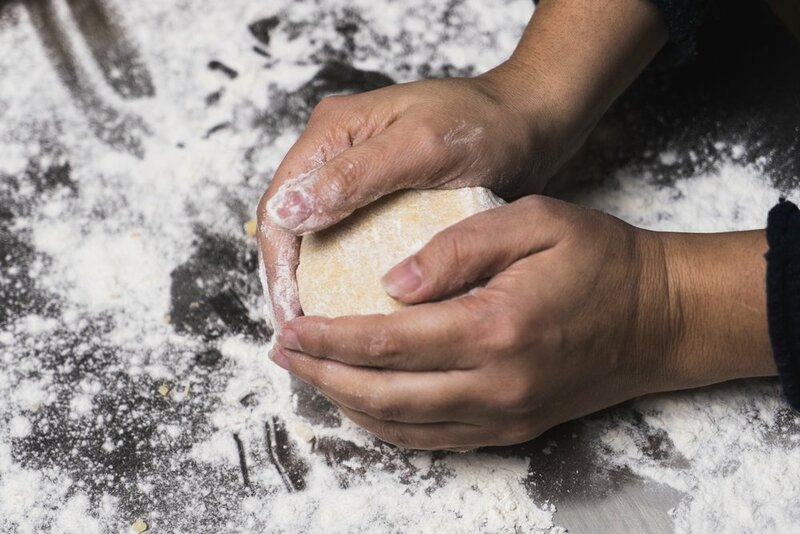 This sugar cookie recipe is a basic one that has been adapted from a few I’ve tried over the years. I’m generally dashing through my days when these need to get made, so I don’t love the ones where you need to let the dough chill for hours on end so my basic one does not require any chill time. It gives us a good cookie with a little crunch and gives us more time to soak in all the Christmas! Allow cookies to sit on the cookie sheet for 1-3 minutes to harden a bit, then move to wire cooling rack. 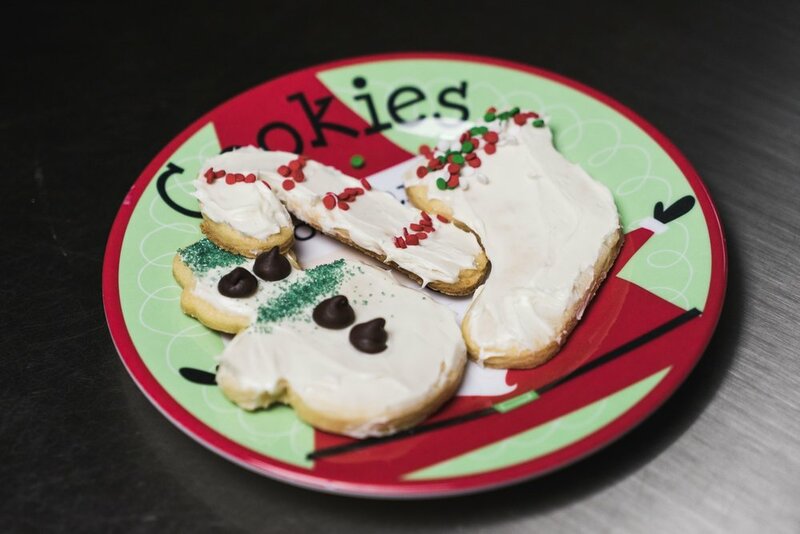 Decorate cookies using your preferred icing, sprinkles or frosting or just enjoy as is! This recipe is made using unsalted butter so I highly recommend you do not substitute margarine as this will affect the taste and texture of the cookie. This time of year, real butter is on sale due to all the baking. I tend to stock up so I can have real butter without the sting of paying so much for it! These cookie are great all year round! We love to make Valentine cutouts, Easter cutouts, Summer cutouts, Halloween cutouts, and Thanksgiving cutouts. So don’t let Christmas have all the fun! If they make a cookie cutter for it, it’s a holiday that can use these cookies!